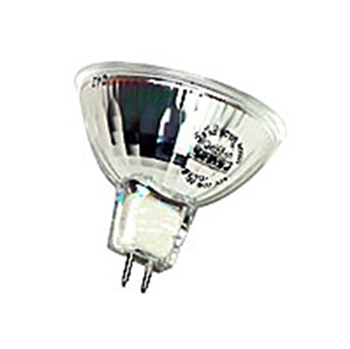 This 20 Watt 12V MR16 type Halogen Replacement Bulb produces a warm and bright white light and works great for fountains and ponds, as well as indoor and outdoor lighting fixtures. It is rated for 5,000 hours so you don't have to worry about replacing it for months. Features a cover glass lens for safe operation in submerged applications.